The Driver Support System (DSS) is a tablet application for use by train drivers in train cabs. It presents a rolling schematic map of features on the route ahead, overlaid with the track-precise position of the train using outputs from a train positioning system such as our VTPS. Five miles up the track a train has broken down. 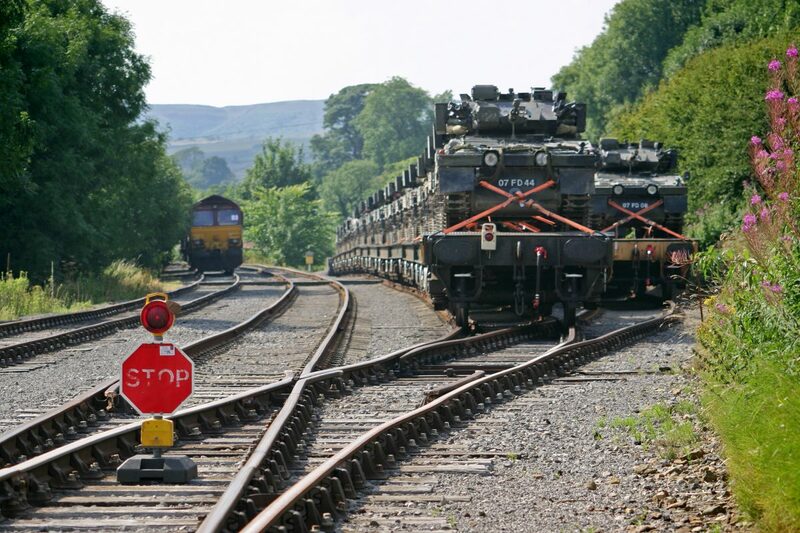 There’s a junction ahead, and the signaller has routed you off so you can terminate the train at the next station. You’re not signed for the 2 miles of route to the station but with the DSS you’re able to drive the two simple track sections ahead. Turn on Journey Mode to maintain driving performance following receipt of an unusual routing instruction. 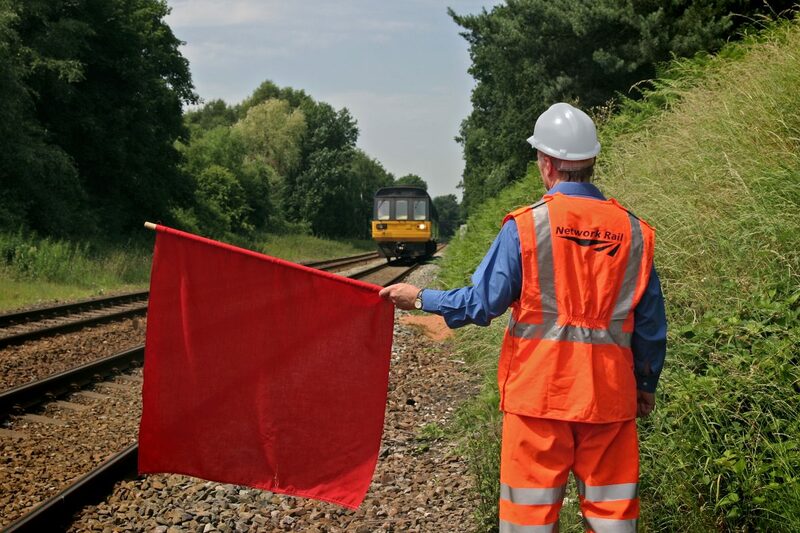 In this mode the DSS presents critical route information to assist when signalled onto an infrequently used line, for example following an operational incident, commencement of a planned diversion, or a railway system failure. Designed to cater for both high speed running and when driving at caution, it presents the train position with signals, stations and line speed changes ahead. 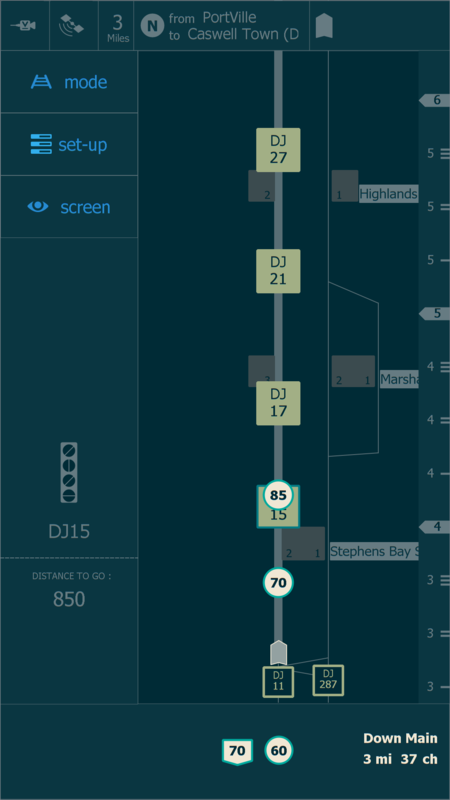 It shows the current track name, route mileage and line speed plus the next line speed and a distance countdown to the next signal. It also highlights the route to be taken at diverging junctions, based on journey information entered by the Driver, and the possible routes that could be signalled at a junction signal. It allows easy selection between different map scales, day and night display, and icon preferences. You’re shunting from platform 1 to platform 7 and the signaller instructs you leave the station and drop behind shunt signal SH1234. You know roughly where that is but it’s been a long time. You switch to shunt mode and the doubt is removed. Switch to Shunt Mode when driving rarely used predefined shunts or select new shunt movements on the fly. The DSS presents the rolling track map with the shunt move highlighted ahead of the train’s location and exactly how much further to pass a shunt signal. It displays the limit of shunt, the signal to ‘drop behind’ and other shunt signals. 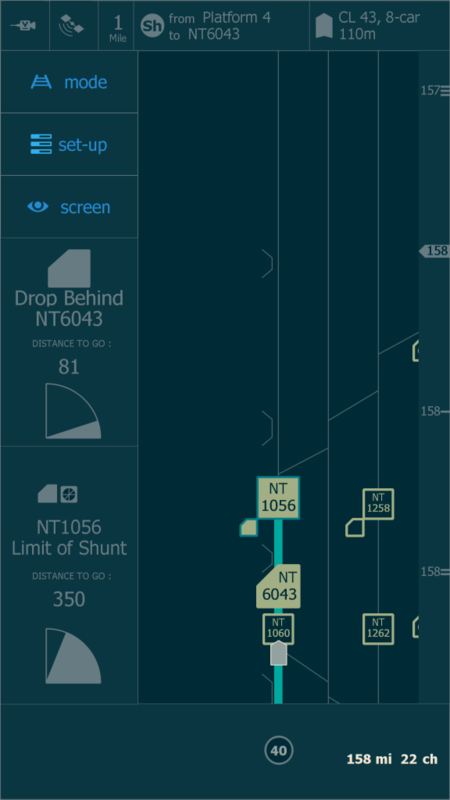 A distance counter indicates how far the train rear needs to travel to be clear of a shunt signal. It’s been 4 hours and everyone’s getting hot and bothered. A tree on the line ahead and trains stacked up behind. Time to evacuate the train before passengers take things into their own hands. You check the DSS for the nearest access points and give the signaller your GPS co-ordinates so that help can be directed to the right place. Choose Static Mode following an unplanned stop in an unfamiliar place. The DSS displays the current position on a track schematic complete with GPS co-ordinates. 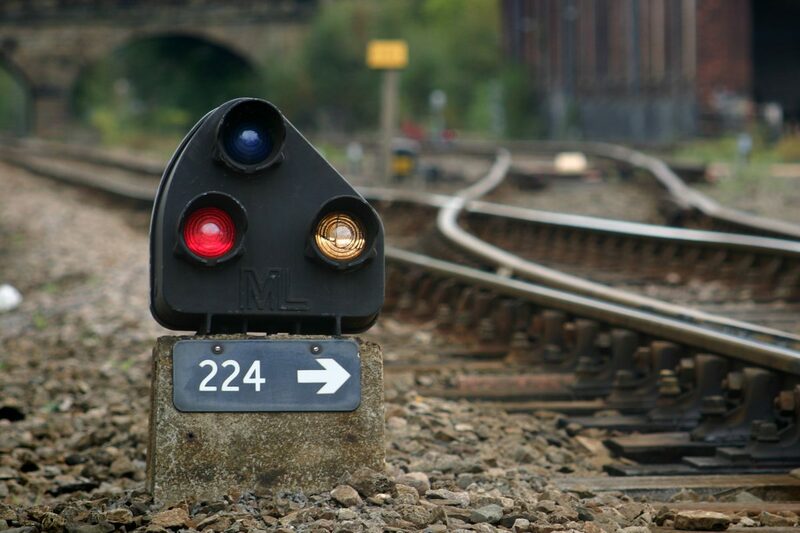 Toggle on and off local railway access points, bridges, tunnels, signals, line speeds, track electrification status and site specific communication information.